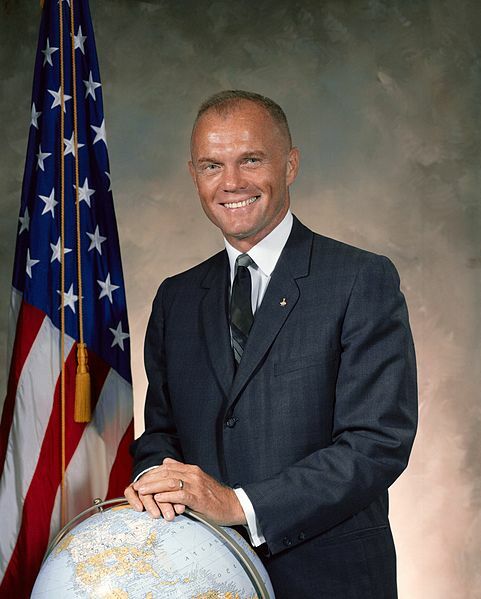 The first American to orbit the earth, John Glenn Jr., has died on December 8, 2016 at the age of 95 after having been hospitalized earlier in December. Below, a video tribute to John Glenn. John Glenn had undergone successful heart valve replacement surgery in 2014. He leaves behind his wife of 73 years, Annie (Anna) Castor (m. April 1943), children John David Glenn and Carolyn Ann Glenn, and grandchildren. After the World War II Pearl Harbor attack, John Glenn quit college to enlist and entered the U.S. Navy as an aviation cadet; he later transferred to the U.S. Marine Corps. Post-WWII he became a flight instructor, then served again during the Korean War. Glenn was decorated with numerous medals for flying over 149 combat missions during those 2 wars. He graduated from the U.S. Naval Test Pilot School in 1954 and completed the first supersonic transcontinental flight "Project Bullet" in July 1957, receiving another Distinguished Flying Cross medal for his accomplishment. At age 40, John Glenn was accepted into the new NASA recruiting program for astronauts, and in February 1962 he became the first American to orbit the Earth aboard Friendship 7 - circling earth 3 times in less than 5 hours. Actor Ed Harris portrayed Glenn in the movie The Right Stuff (1983). John Glenn retired from the Marine Corps in January 1965 and began working for Royal Crown Cola as a business executive. He was first elected to the U.S. Senate in 1974, a position he held until her retired in 1999. 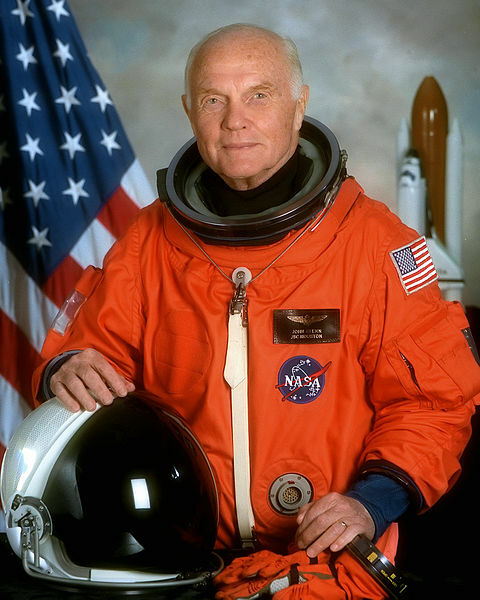 In October 1998, at the age of 77, John Glenn became the oldest person to go into space when he served as a Payload Specialist on the the Discovery Space Shuttle. He had lobbied NASA to fly on as a "human guinea pig for geriatric studies".